ENCINITAS — Encinitas has tapped the city of Glendale, Ariz., to find the new director of its parks and recreation department. The city recently announced that City Manager Karen Brust had hired Jennifer Campbell, the assistant city manager of Glendale, to lead the city’s park division. Campbell has been in her current position since March 2014, providing leadership overseeing Development Services, Public Works and the Water Department. She has more than 18 years of government experience, most of which is in parks and recreation. She replaces Lisa Rudloff, who had served as the parks and recreation director for nearly five years before resigning abruptly on March 7. 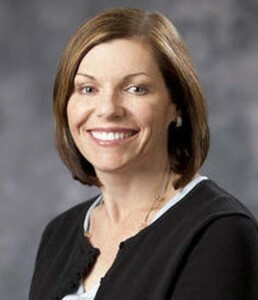 Prior to her assistant city manager position, Campbell rose through the ranks in parks and recreation, first as a recreation Coordinator, recreation and aquatics supervisor, and superintendent before being promoted to Community Services Director in the city of Maricopa, Ariz.
Campbell has a master’s degree in education with an emphasis in leadership and public administration from Northern Arizona University and a bachelor’s degree in recreation management from the University of Arizona. She is a certified parks and recreation professional, a certified public manager, possesses a Smartscape Certification and is a Parks Maintenance Management School graduate. She has also been an adjunct professor at a community college teaching recreation classes since 2003. Jim O’Grady, who has served as interim parks director since March, has agreed to stay on with the city as the interim assistant city manager until Brust can fill the position.